(WASHINGTON, D.C.) Roe v. Wade, decided on Jan. 22, 1973, by the United States Supreme Court, legalized abortion procedures throughout the country. 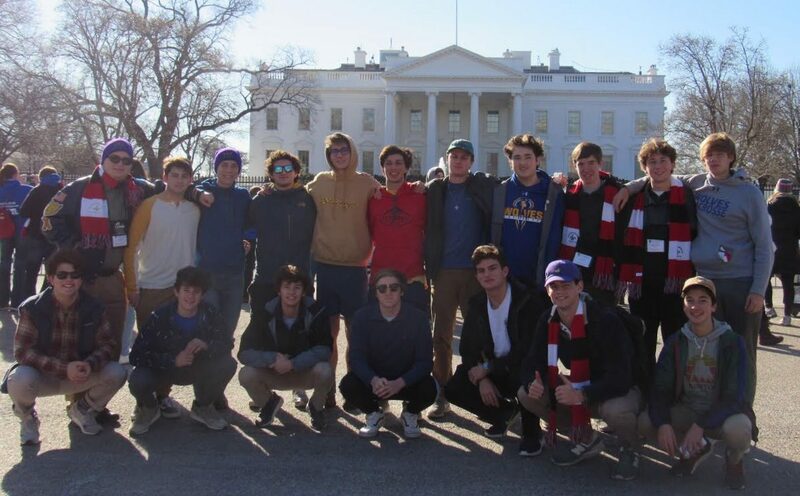 In disapproval of this decision, 19 St. Paul’s School students attended the 45th annual March for Life in Washington D.C. on Friday, Jan. 19, 2018, where they accompanied an estimated 500,000 members of the pro-life movement. At the event, the pro-life activists received historical addresses from President Donald Trump, Vice President Mike Pence, and Speaker of the House Paul Ryan, which highlighted the gains that the pro-life movement has made under the Trump administration recently. Trump’s address, delivered via satellite from the White House’s Rose Garden, marked the first March for Life presidential address since then-president George W. Bush’s phone address in 2008. Following the event, all of the attending schools from the Archdiocese of New Orleans, including St. Paul’s, received an appreciative address from Archbishop of New Orleans Gregory Aymond. Watch The Paper Wolf’s event coverage below.